In this easy to follow IT Checklist, you’ll learn how to speed up and safeguard your computer against cyber threats. 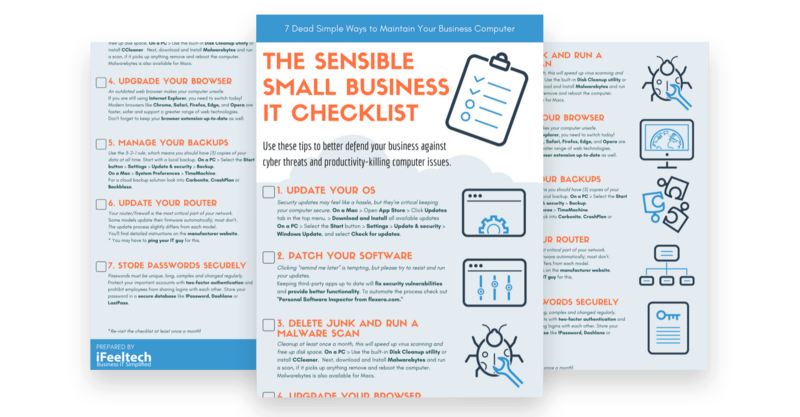 Use these seven tips to better defend your business against cyber threats and productivity-killing computer issues. Re-visit the list at least once a month!